The Yakima River gathers water from the crest of the Cascades then flows south and east to its junction with the Columbia River. Between Union Gap and Mabton, the river serves as one of the boundaries of the Yakama Indian Reservation. When the rains begin, some of the lower lands flood and ponds fill with water and become magnets for waterfowl using the Yakima for a stopover on the fall migration. Based on the 2014 Trends in Duck Breeding Report just released by the US Fish and Wildlife Service, this season's duck numbers are expected to be eight percent higher than in 2013 and 43 percent higher than the long-term average. The trick is figuring out where the birds want to be, but a lot of Pacific Flyway birds want to be in the Yakima Valley. The Yakama Nation Wildlife Program began in 1981 and today 13 wildlife disciplines are administered under the Yakama Nation Wildlife, Range and Vegetation Resources Management Program. A sovereign nation, the Yakama takes in about 1.2 million acres in eastern Washington. The public hunting and fishing program manages the activities of non-tribal hunters. A portion of the reservation is open for hunting birds and small game. Seasons are developed, lands are posted and hunting is allowed according to the rules and regulations set by the tribes. 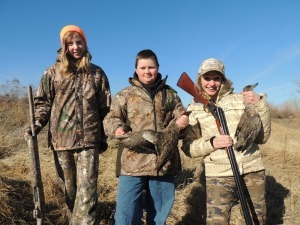 Public hunting is allowed for upland birds, ducks and geese, rabbits and other small game. Non-members are required to purchase a Yakama Nation Hunting & Fishing Permit. Non-members can hunt on lands marked "Feel Free to Hunt" and a number of private properties are available to access with permission. Maps are produced with the annuals bag limits and season dates. 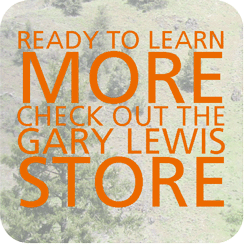 The best resource is the Yakama Nation's web site at www.ynwildlife.org. Under the public hunting/fishing pulldown, a hunter can find permits, hunting hours, duck banding results, seasons and regulations, detailed hunting maps (which include aerial photos) and other information. In each of the last two Novembers, we have traveled to the Yakama Reservation. Last year we hunted ducks on private land. There are a couple of options for the traveling hunter - ask for permission to access (which might include a trespass fee) or take advantage of the "Feel Free to Hunt" land. We bought our licenses online then pointed north late on a Friday evening. We stayed the night in Zillah then crossed the river in the morning to meet the rest of our party before dawn. As the sun backlit the eastern horizon, we slipped into the blind and listened for the beat of wings. All around us we could hear quail calling and now and then, the cluck of a rooster pheasant. Duck hunts are usually better when it's wetter and, although we expected rain, we got a blue sky day with a bit of wind. We were able to tempt a few wigeon in to our decoys and finished with everyone in the group getting a little shooting. This outing was part of a Young Hunter Program event. Several kids bagged their first game on our hunt and we turned our game into pulled duck barbeque sandwiches before we left the marsh. That evening we went to another property and sat in a blind in a corn field to view the mallards as they piled into roosting cover. For an hour we sat and watched as flight after flight greenheads dropped in to a patch of open water. More than 300 birds were packed in a small pond and when a coyote spooked them, they had to break away in bunches. It was a great lesson in habitat and how many birds use the basin. In the part of the Yakima Valley there is a good mixture of lands planted with crops and undeveloped ground. Here the harvests include corn, asparagus, hops, grapes and mint. A lot of fields lie in wild rose, wild rye, saw grass, sagebrush, teasel and cattails. Early season hunters should be able to find good numbers of birds on Feel Free to Hunt lands that have water or border water. For the best action, a traveling hunter should try to develop relationships with landowners (non-trust lands) for access to ground that sees less pressure. Some areas are open to hunting only on Wednesdays, weekends and holidays. A multi-day hunt on Yakama Nation lands, with time spent talking to locals, could yield better access for future duck hunts. Another option is upland hunting on the reservation for valley quail and pheasant. In November, December and January, temperatures could range between zero and 70 degrees. Rain and snow are possible, but the Yakima Valley is known for lots of blue sky days, even in the winter. According to the Yakama, a Washington state hunting license is not required to hunt on the reservation. The traveling hunter is advised that, while state game enforcement agencies are not permitted to check hunters on the reservation, it might be wise to have a Washington state hunting license if traveling with harvested game in the area outside the Yakama Nation boundary. Permits are available at various locations in the Yakima Valley. A full season combination hunting and fishing permit costs $36.50. A consecutive three-day permit costs $21.50. For vendor locations and other information, visit www.ynwildlife.org. A Washington 3-day nonresident small hunting license ($68.00) is available at sporting goods stores and on the Washington Department of Fish and Wildlife web site. In addition, a hunter may call the WDFW at 1-866-246-9453 and buy a license over the phone. For information, visit www.dfw.wa.gov. Toppenish has a population of 9,000. Attractions include museums, a casino, year-round golf and wine tasting. All services are available in Yakima and Toppenish. Hunters can fly into Yakima (YKM) and rent a car for the drive (21 miles) to Toppenish.